I know my 4th of July desserts could be more festive but this year I’m not really color coordinating with the holiday and just going with something fun and different, and of course something with amazing flavor! 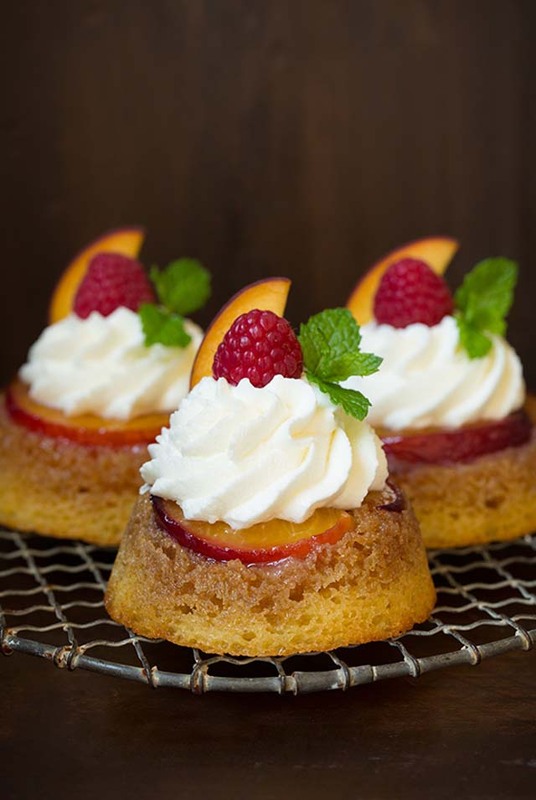 I made these Pineapple Upside Down Cupcakes a few months ago and I know they wouldn’t end there. I love cupcakes and I love when you can convert a traditional cake into an individual cupcake, like these German Chocolate Cupcakes or these Cheesecake Cupcakes. People always just love them that much more and serving them up is cleaner and easier. I wanted to stick some sparklers in these for pictures but my husband thought I’d burn the house down, but for company I plan on making them again and sticking some sparklers in them and lighting them up outside. I’m totally festive you guys. Always :). I do love all the fresh fruit flag pizzas too so maybe I’ll have to make one of those, and maybe next year I’ll actually share a recipe for one of those on time. I just never seemed to get around to it this year. These are equally as good though and you’ll have people swooning over them! 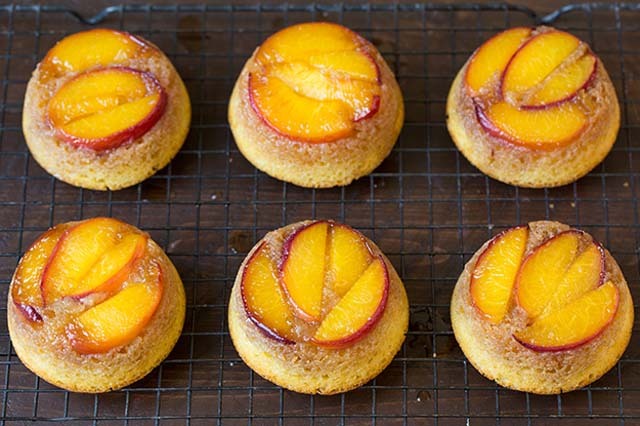 Cornmeal Peach Upside Down Cupcakes need to find a place on your menu ASAP! They are simply heavenly! 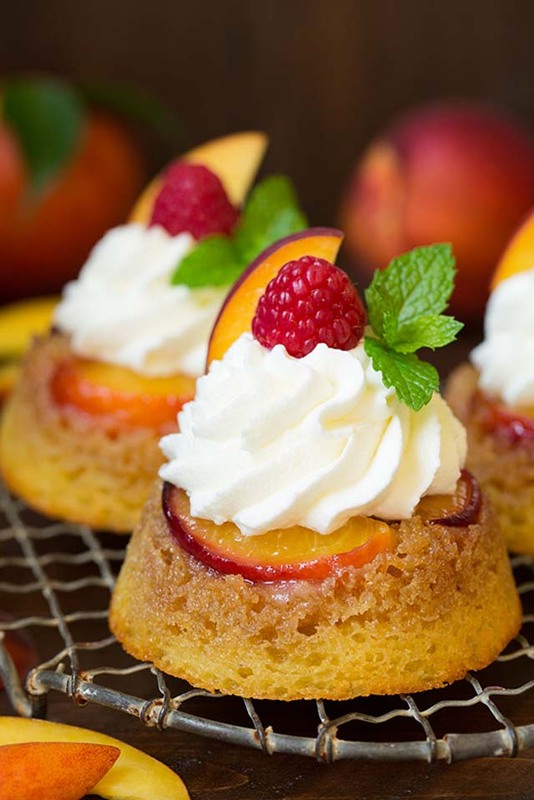 Think peach cobbler, meets sweet cornbread, meets upside down cake all made into one decadent cupcake. Pretty epic right? They are. Preheat oven to 350 degrees. 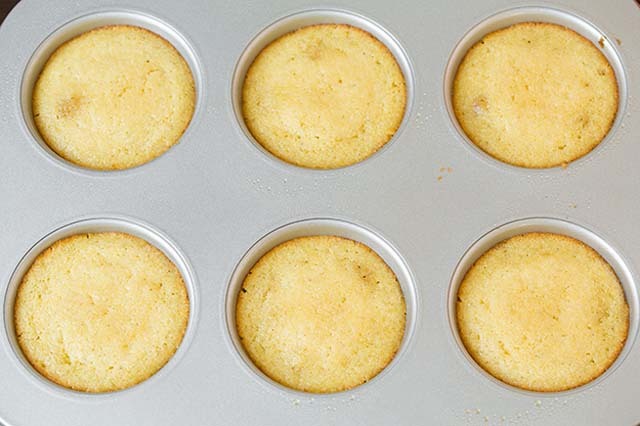 Spray each well of a 6-cup jumbo muffin pan with cooking spray. Divide 4 Tbsp melted butter among wells, adding about 2 tsp to each, then evenly sprinkle 1 tbsp of the brown sugar into each well over butter. 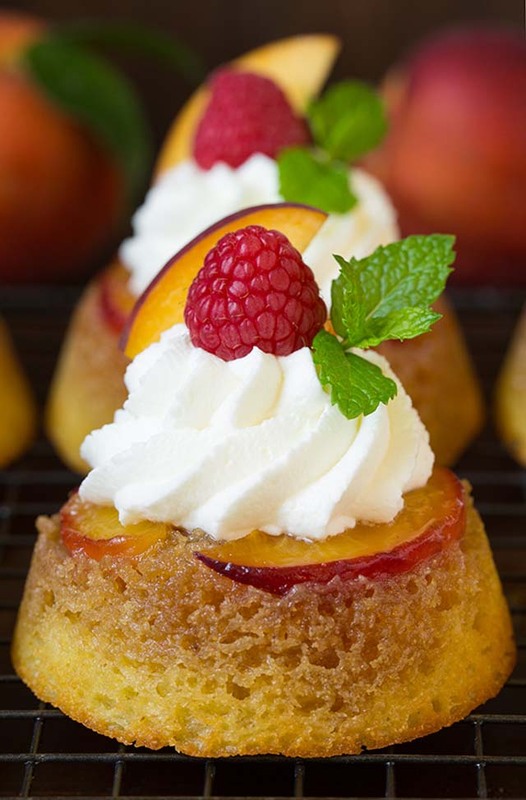 Layer peaches over brown sugar layer, adding 4 slices to each well. Set aside. 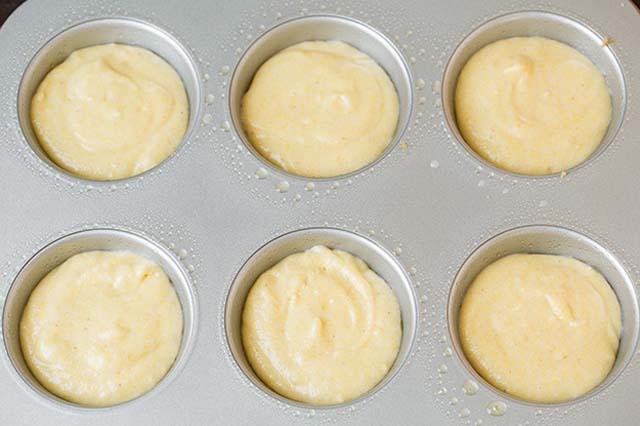 In a mixing bowl whisk together flour, cornmeal, baking soda and salt for 20 seconds. Make a well in center of flour mixture. In a separate mixing bowl mix together sugar and 3 Tbsp melted butter then whisk in egg, vanilla and buttermilk, mixing until well blended. Pour buttermilk mixture into flour mixture and using a wooden spoon, stir just until combined. 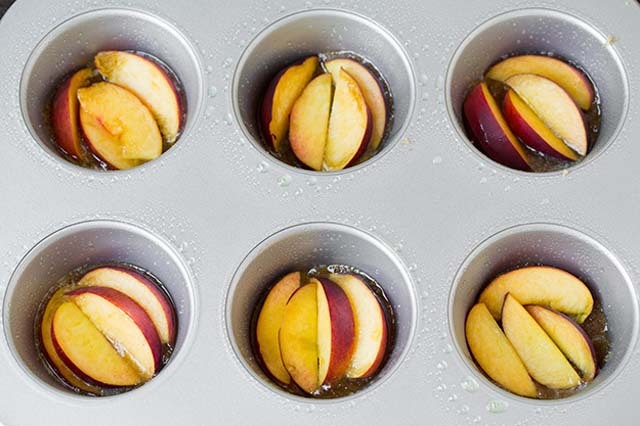 Divide mixture among muffin cups adding about a 1/4 cup to each, then spread into an even layer. 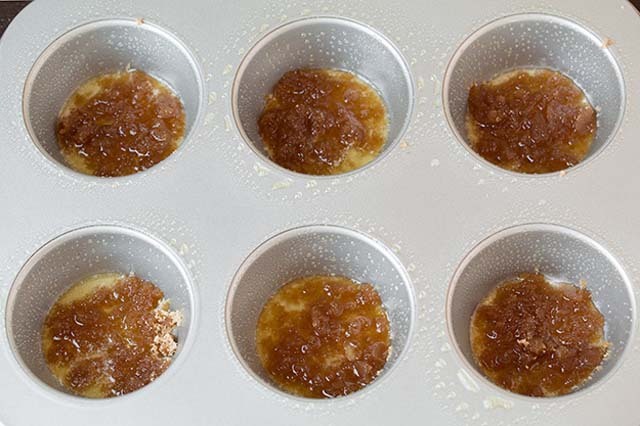 Bake in preheated oven until toothpick comes out clean (or with a crumb or two), about 18 - 21 minutes. At this point they'll likely have tiny domes in the center so take a clean kitchen towel or a few paper towels and gently press down on the centers to level. Let cool 5 minutes. Run a knife around edge to loosen if needed then set a wire rack over pan and invert onto wire rack (tap bottom of wells to help coax out). 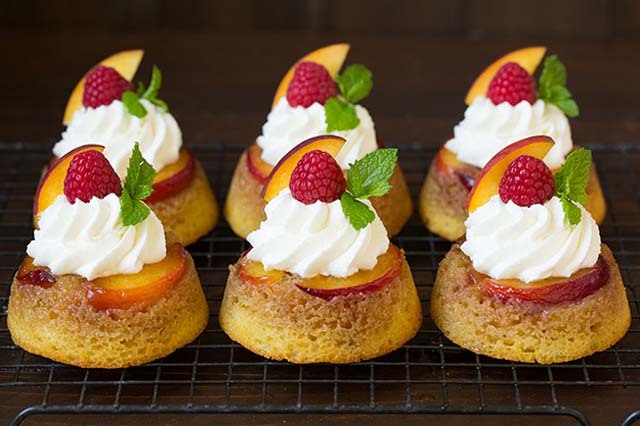 Let cool and serve topped with whipped cream and decorate with raspberries and mint or serve warm with vanilla ice cream.